Kapil Sharma is an Indian stand up Comedian, Television Presenter and Actor. He was born in ( April 2, 1981 ) Amritsar, Punjab, India. He is also known as Mr. Sharma, Sharma Ji and Bittu Sharma. 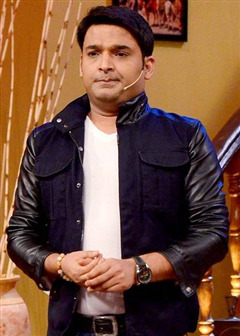 Kapil is recently living in Andheri, Mumbai, Maharastra. Recently he hosted and working in his own show Comedy Nights With Kapil airs on Colors Channel, One of the popular and unique show of the Indian Television. He is the winner of the Show Comedy Circus 2010. He also won the Jubilee Comedy Circus. Kapil Sharma was born in Punjab based Brahmin Family in 1981. His father was in the police force and mother was a housewife. He is form a Middle Class Family. He has a fond of being an actor in Entertainment Industry. 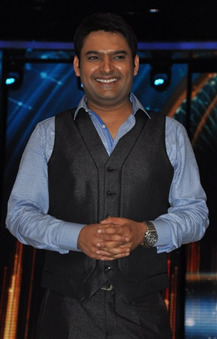 Sharma took part in The Great Indian Laughter Challenge season 3 on Star Plus, Where he is known as one of the best comedian in Television after that he took part in many comedy shows. 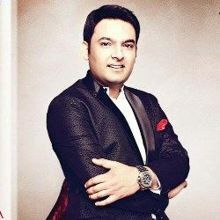 Kapil Sharma started up his career from a Punjabi Channel mh1 show "Hasde Hasounde Raho" he was the second runner up in this tv Series, mean while kapil decided to a comedian. And After that he participated in The Great Indian Laughter Challenge in Season 3 on Star One. Where he become known by his characters Lala Roshan Lal and Shamsher Singh (The Police Cop). After that he took part in various season and version of Comedy Circus they are like Comedy Circus Ke Super Star, Comedy Circus Ka Jadoo. In 2010 Kapil won the show Jubilee Comedy Circus in tie with Krishna Abhishek Rajiv Nigam, Comedy Circus Ke Taansen and Comedy Circus Ka Naya Daur. He also won Kahani Comedy Circus Ki in tie with Krishna Abhishek Sudesh Lehri on Sony Entertainment Television. He was awarded for CNN-IBN Indian of The Year on Entertainment Category. On July 2013, he started and hosted a show Comedy Nights with Kapil Shows India's top rated TV show and one of the Favorite show in India. In this show kapil and his Co-actor portraying different characters in this show and interviewed Bollywood Celebrities. The show is similar to the british show The Kumars at No 42. After the conclusion of Jhalak Dikhhla Jaa, the show became India's highest rated serial in the non-fiction category garnering viewership rating greater than KBC and Big Boss. 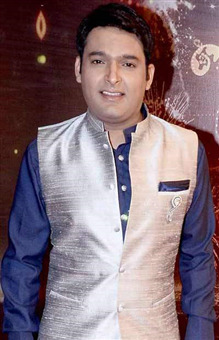 At CNN-IBN Indian of the Year awards, Kapil Sharma was felicitated with Entertainer of the Year award for 2013 by Amol Palekar in recognition of his contribution to the show. He has co-hosted Jhalak Dikhla Jaa Season 6 with Manish Paul. He also hosts Comedy Nights with Kapil which has earned a lot of appreciation among the Indian audience. It is the most seen TV reality show according to recent TVTs.Recently he hosted the Colors Golden Petal Awards show by Colors. 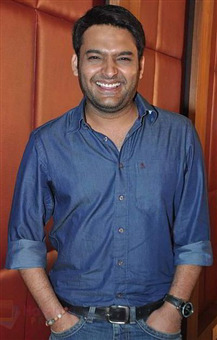 Now Kapil is Known as India's one of the best comedian and host. CNN-IBN Indian of the Year 2013 - Entertainment. 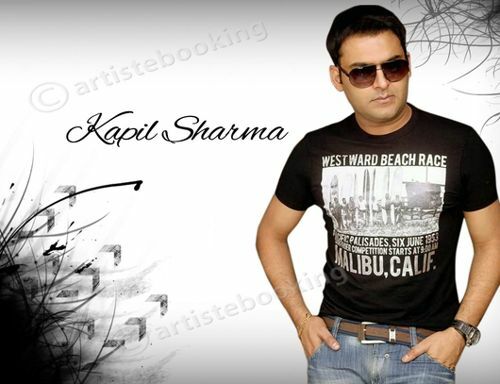 Why Book Kapil Sharma Through ArtiseBooking?